Israel is God's Chosen Nation ... but what does that mean? You are here: Home / Israel is God’s Chosen Nation … but what does that mean? 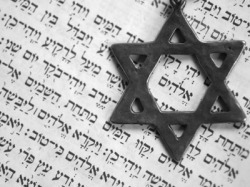 Israel is God’s Chosen Nation … but what does that mean? No, this is not a political post. This post is part of my ongoing series about Unconditional Election. In it, I intend to briefly discuss the nation of Israel as God’s election nation, His chosen people on earth. In this way, we will learn what is election is for. Calvinistic author Loraine Boettner was absolutely correct when he wrote that “Throughout the Old Testament it is repeatedly stated that the Jews were a chosen people” (Boettner, Predestination, 88). Repeatedly throughout Scripture, Israel is referred to as God’s elect nation, His chosen people (cf. Deut 7:6-8; 10:14-15; Ps 33:12; 65:4; 106:5; Hag 2:23; Acts 13:17; Rom 9:11; 11:28). Furthermore, as God plainly states in several of these texts, this sovereign choice of God had nothing whatever to do with Israel being a better nation than any other on earth, or that they were more wise, holy, or rich than any other nation. God’s choice of Israel was according to His own divine purposes. Is Election Only Corporate Election? There are some who note the prominent theme in Scripture of God’s election of the nation of Israel, and as a result, argue that there is no such thing as individual election, but that election is always corporate. That is, according to this view, God doesn’t elect individual people, but elects groups of people instead (Klein, The New Chosen People). Election does not have individual emphasis in Paul, any more than it did for Israel in the Old Testament or the Early Jewish period. Rather, it implies a covenant-relationship through which God chooses for Himself a whole people. This collectivism is of supreme importance for the understanding of “election in Christ” (Shedd, Man in Community, 133). The New Testament does know of the election of individuals to tasks or ministries. But when the issue concerns God’s choice for salvation, he has chosen a community—the body of Christ, the church. … The New Testament writers simply do not entertain the issue of whether God has selected specific individuals to becomes members of that body. The body is chosen; one enters that body through faith in Christ. … Election is not God’s choice of a restricted number of individuals whom he wills to save, but the description of that corporate body which, in Christ, he is saving (Klein, The New Chosen People, 266). Some have argued that Paul [in Romans 9] is referring instead to nations or groups and that election does not apply to individuals. Apart from the fact that nations are made up of individuals, the salient point is that Paul explains election by citing as examples of God’s sovereign election two distinct, historic individuals (Sproul, Grace Unknown, 148). I agree with Sproul’s overall argument, but disagree with his use of it in connection to Romans 9. We will consider Romans 9 later, but it is enough to note for now that even Paul does refer to “two distinct, historic individuals,” namely, Jacob and Esau, Paul does so in connection with them being heads or progenitors of two people groups: the Israelites and the Edomites. Nevertheless, Sproul’s overall point is valid: God does not only elect nations; He also elects individuals. Of course, the true salient point is not whether or not God elects nations (He does), but rather, what He elects them for. Since many Calvinists equate divine election with God’s sovereign choice of whom He will regenerate, it is sometimes thought that everyone whom God “chooses” will also be sovereignly regenerated by God. But a moment’s reflection reveals the sheer folly of this idea. Israel, as God’s elect nation, was not ever composed entirely of regenerate people. Israelites do not get to go to heaven simply because they are members of God’s chosen people. Though God selected Israel as His chosen people, not all end up as regenerate people who will spend eternity with God. The fact that all Israel can be elect but not all Israel will receive eternal life clues us in right from the start that there is something else going on with election than what the Calvinist claims. For if, as Calvinists teach, God, in eternity past, chose some people to be the beneficiaries of His grace so that they, out of all the people of the world, might alone receive eternal life from Him, then Israel, as God’s elect people, should all unconditionally receive eternal life from God. But this did not happen, and never will. Quite to the contrary, Israel, as God’s elect nation, has always been composed of both regenerate and unregenerate people. So almost from the very beginning of Scripture, we have the curious situation of having people who are elect but unregenerate. To get around this, Calvinists have two basic approaches. First, some argue that when the Bible speaks of Israel as being “elect,” it is only referring to the regenerate people within Israel; not to all Israel as a whole. In defense of this idea, they point to Paul’s statements in Romans 9:6-13 that “they are not all Israel who are of Israel” and Romans 11:1-4 about the remnant of Israel which God has always reserved for Himself through “the election of grace” (Rom 11:5). We will look at Romans 9–11 later to see what Paul is talking about in these famous chapters. For now, it is enough to note that in the attempt to get around the problem of having unregenerate elect people, some Calvinists must artificially limit the nation of Israel as God’s elect to only include the regenerate people within Israel. Yet this sort of limitation has no basis anywhere in Scripture. In the Bible, Israel is God’s chosen nation on earth—not some of Israel, but all Israel. Most people recognize this, and so fall back on the second way to explain the existence of unregenerate elect Israelites. They do this by falling back on the idea of “corporate election” summarized above. Those who do this say that God’s election of Israel, though still a sovereign act of His grace, was not an election unto eternal life, but was an election of a group of people unto a specific task or purpose. By choosing Israel as His people, God elected the nation, not to eternal life, but to be the vehicle through which the prophets would record God’s Word and Jesus would arrive as the promised Messiah. This sort of view of election allows God to elect Israel as His chosen people, but does not require that every single individual person within Israel receive eternal life from God. The debate over election would be over if those who adopt this “election to service” approach regarding Israel and certain individuals in the Old Testament would apply the exact same approach to election throughout the rest of Scripture. Just as Israel, as God’s elect nation, was elected to serve God in a specific task, but this does not mean that every individual Israelite was regenerate, so also, election elsewhere in Scripture has nothing to do with whether or not someone has eternal life, but has everything to do with what role God wants them to serve in His plans and purposes for the world. As we will see throughout the rest of these posts on election, election is never to eternal life. Instead, election is to service and purpose in this life. To summarize then, God election of people or nations is not to receive eternal life, but rather, to play a role or fulfill a purpose in His divine plan. This understanding of election allows God to elect entire nations, not because He plans to get them all into heaven, but because He plans to call that nation to some purpose within world history. God chose Israel, not because He decided to redeem every Israelite, but because He decided to use Israel to play an important role in bringing about redemption for the entire world (cf. Marston and Forster, God’s Strategy in Human History, 139). This is the view we are going to see throughout the pages of Scripture. Election is not to eternal life, but to service in God’s plan for human history. Often this election involves regenerate people, but not always, as in the case of Israel. But ye are a chosen people (Isaiah 43:20; Exodus 6:7), a kingdom of priests, royal priests (Exodus 19:6), a holy nation (Exodus 19:6), a people of treasured possession (Exodus 19:5; Malachi 3:17), for this purpose: that you may declare the wondrous deeds of the One who gave you the calling and summoned you out of darkness into his marvelous light [Isaiah 43:21; 42:12]. You, who once were not My people (Hos 1:9) but now My people you are (Hos 2:25), the people of Elohim, the ones having not received mercy, but now having received mercy (Hos 2:25). As a Gentile Christian, can I seriously consider that Peter/Kepha is addressing me as part of an elected people since I’m not of Judean/Israelite bloodline? Election for Service and not Salvation. Hummm. That’s a very good point. You raise a good question about Peter’s words. Of course, if Paul is right that both Jewish believers and Gentile believers are now grafted into the same tree, then yes, I believe Peter’s words apply to us as well. The first important aspect to consider in this regard, is who that first audience/readership was. The Holman Illustrated Study has the following observation based on the five Roman areas Peter’s letter was addressed to: “Evidence within the letter suggests that these believers were primarily Gentile (and therefore pagan, 1:18) in background, although there was probably also a Jewish minority (accounting for the frequent Old Testament references).” See Acts 11:19-21 for example. Election to service (there goes church politics). What a great article. It also reconciles the new and old testaments beautifully on this point. Does this set up God as a utilitarian God who enlists us to serve for His own selfish purpose? I don’t think so (service is for the other, not for the self; as God served/loved us, we serve/love each other etc), but I’d be interested to hear your view on it. Great point. I didn’t really emphasize that, but you make a good point. This reconciles the Old and New Testament teachings on election. Interesting that you raise the point about God using us for His purposes. I have often taught this, but someone recently challenged my thinking on this. Like you, I am beginning to think that God doesn’t want to “use” us. That is not how love talks or thinks. If I say I love my wife, but later I say I want to “use her” to raise my kids, you would rightly raise your eyebrows. The orientation of so much Reformation theology is towards the question ‘how can I be sure that I will go to heaven when I die’. The Bible answers the question ‘How is God redeeming mankind and creation after the Fall’. God chose Abraham to put right what Adam got wrong. Abraham and his people were part of the problem too and proved unfaithful to the task. God chose Jesus to redeem mankind and creation through his faithfulness. Now God’s elect are redefined as those who have faith in the Messiah Jesus. God’s elect are chosen to right the wrong of Adam and begin the redemption of humanity and the wider creation. We don’t have to chose between evangelism and social concern. “The orientation of so much Reformation theology is towards the question ‘how can I be sure that I will go to heaven when I die’. The Bible answers the question ‘How is God redeeming mankind and creation after the Fall’.” That is a very interesting statement… I’m really looking forward to the rest of this series. Evangelism is consequently the proclamation of the kingdom God (Matt 4.17) and a call for individuals to submit to the Lordship of Jesus the Messiah. It is not offering a way for people to avoid hell and gain heaven when they die. The message is ‘Jesus is Lord’ and not ‘You’ll be OK when you die’. Jesus is not preaching a different Gospel to Paul. Yes! I often think that simply trying to debate Calvinism requires that I adopt a set of presuppositions about the Bible that I don’t accept. I think if we read the Bible as you say, the whole issue of Calvinism just fades away. Do not answer a fool according to his folly lest you be like him.